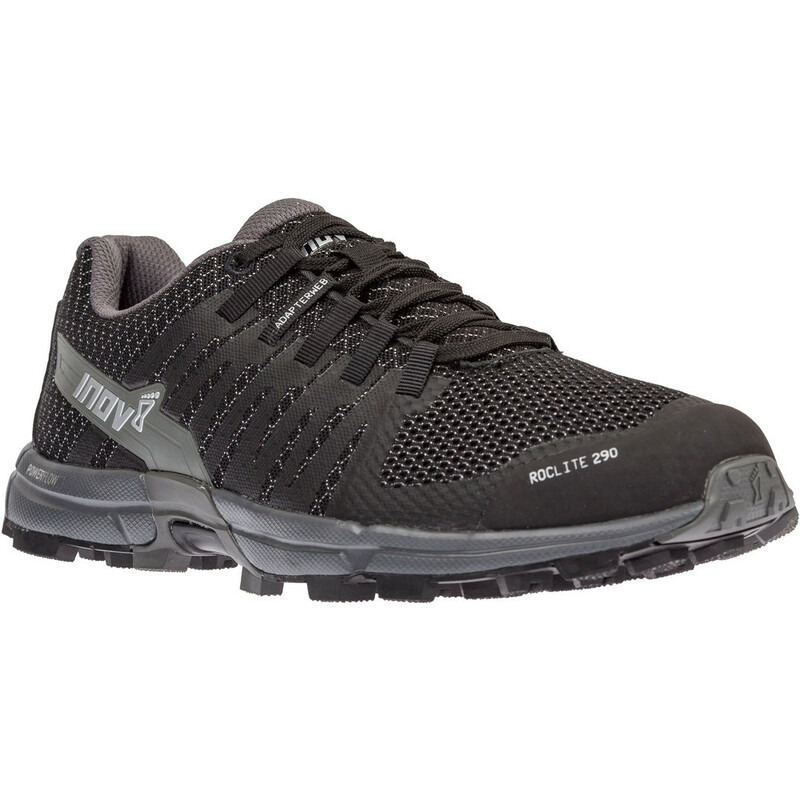 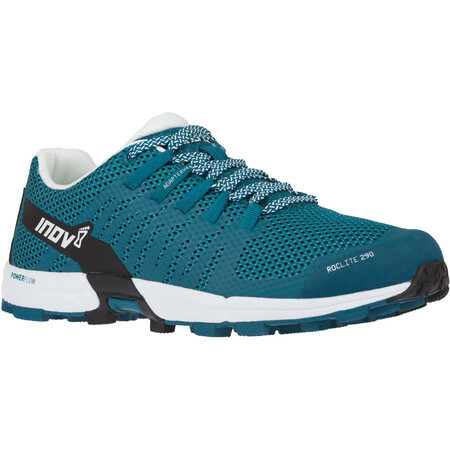 The Roclite 290 is Inov8’s lightest, most flexible and stripped back Roclite, made to give a responsive ride with high levels of durability. 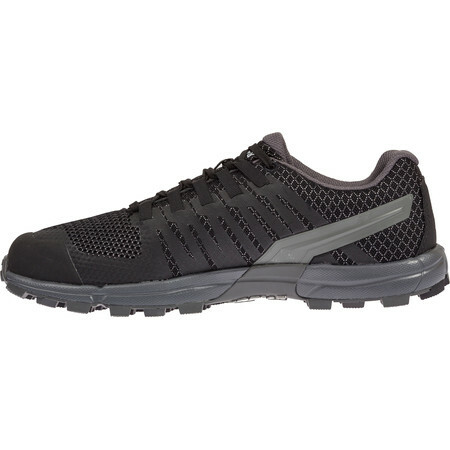 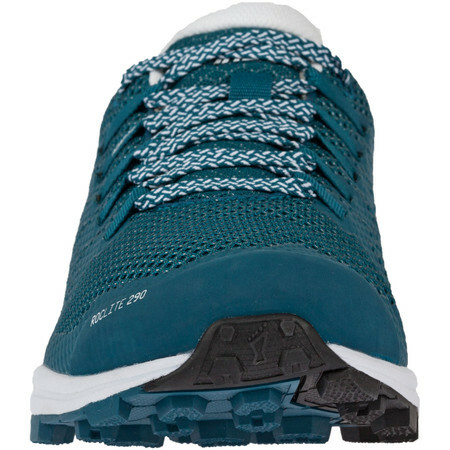 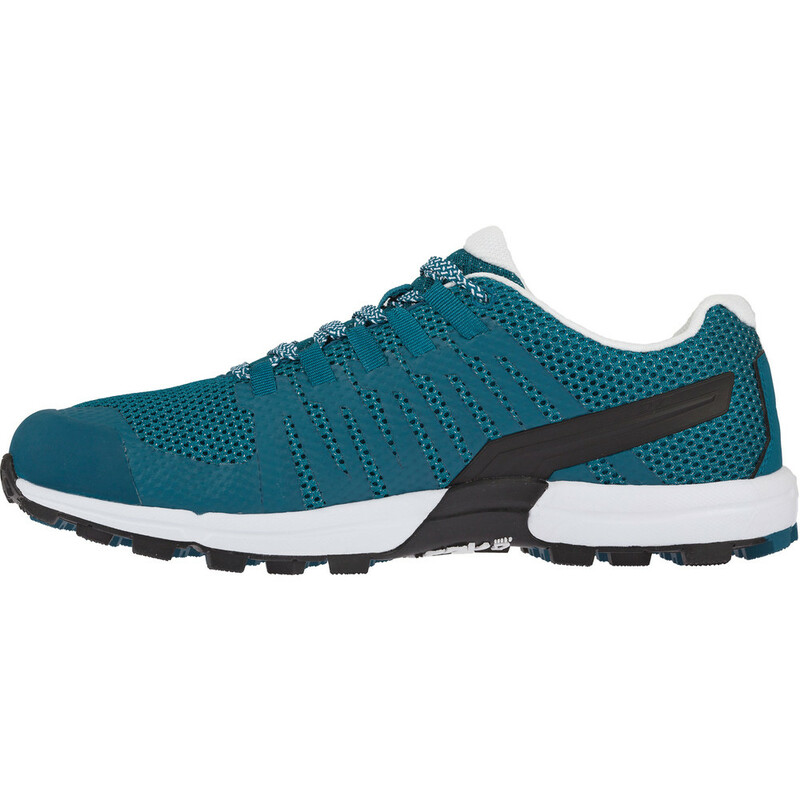 Designed as a truly multi terrain trail running shoe for running on anything from wet mountain rocks to muddy grass, hard packed trails and roads. Built on a 4mm drop for great ground contact and balance. 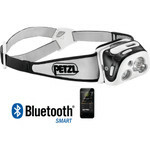 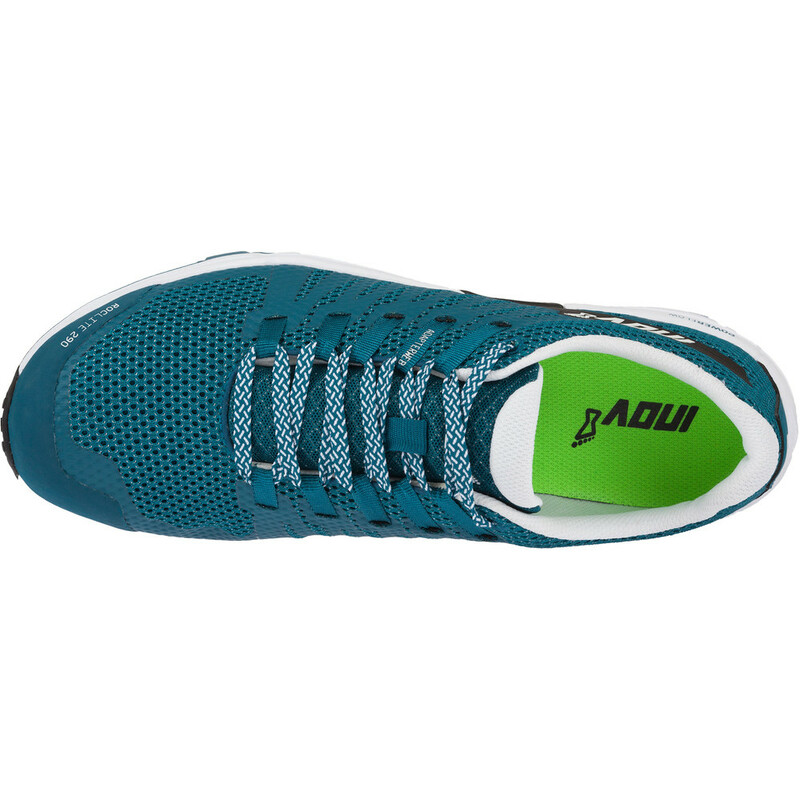 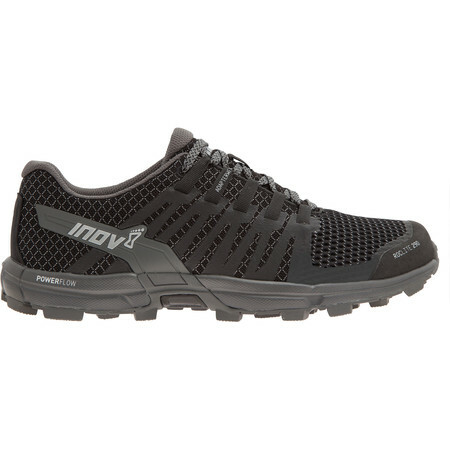 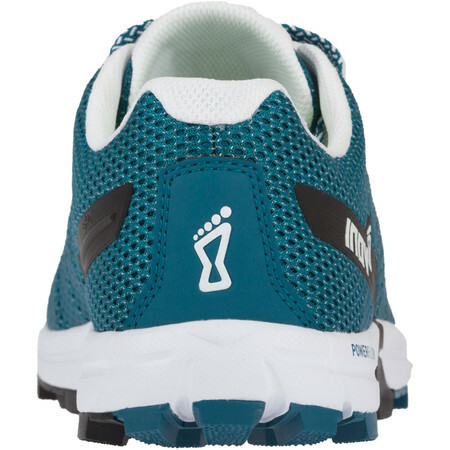 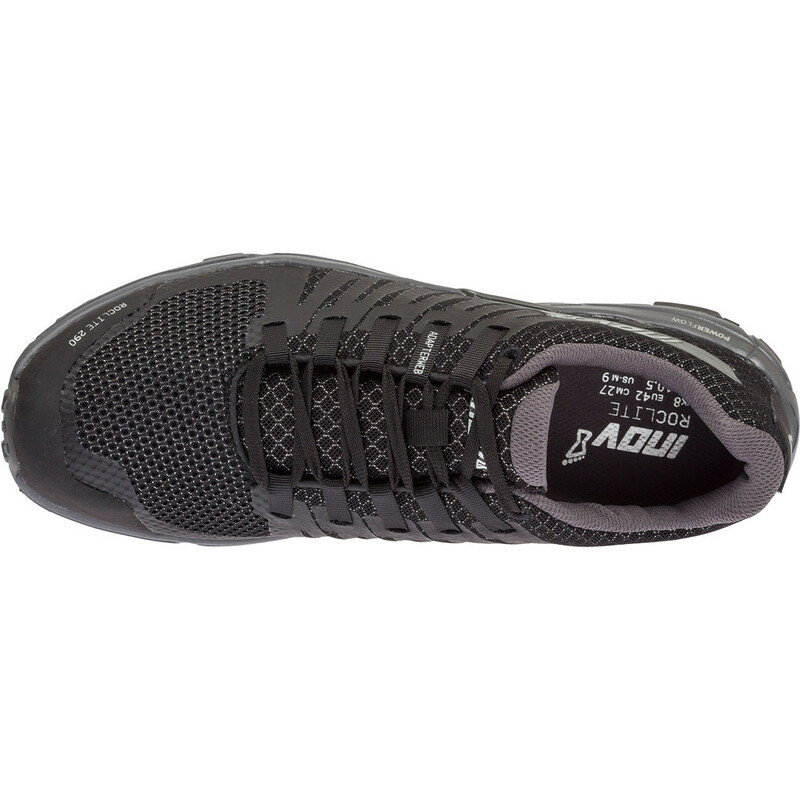 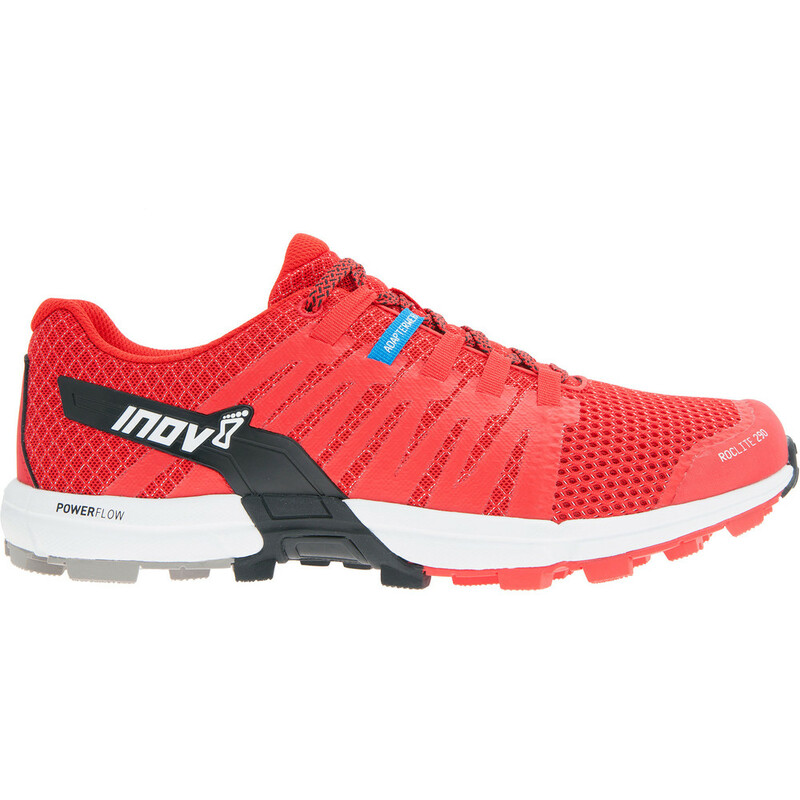 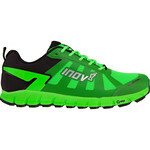 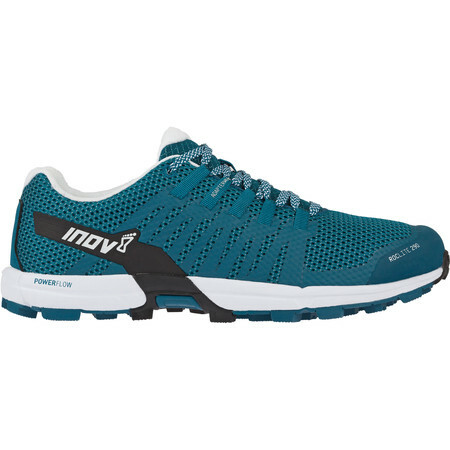 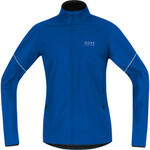 Built on Inov8’s Medium Last which is wider than Precision but narrower than Standard. 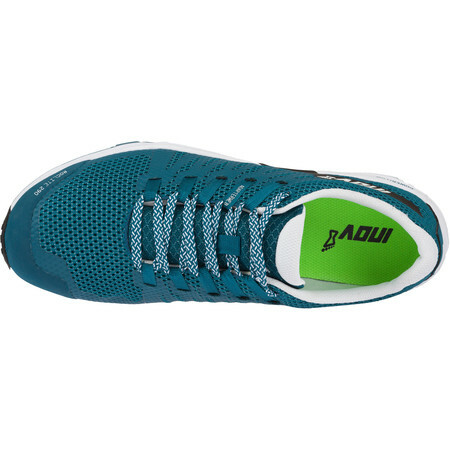 The breathable open weave mesh upper features an Adapterweb met-cradle which adapts to the natural movement and swelling of the foot while running. 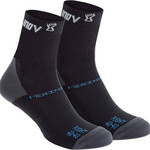 Reinforced overlays around the heel holds the heel in place and offers support. A Powerflow midsole delivers cushioning and absorbs shock over harder terrains. 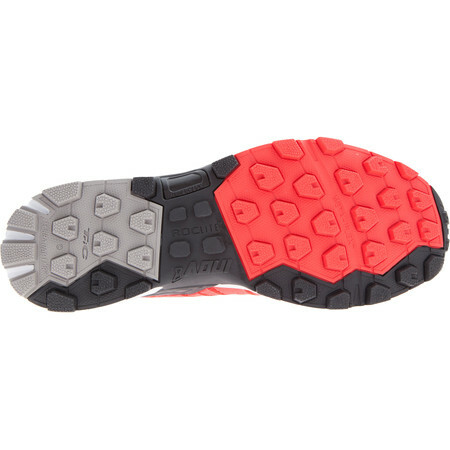 The outsole on the Roclite 290 is all new. Made from their TriC blend rubber compound which is harder on the heel for durability but softer in the middle and even softer on the inside to aid contouring. The lug is deeper than on previous Roclites and each lug can move independently. 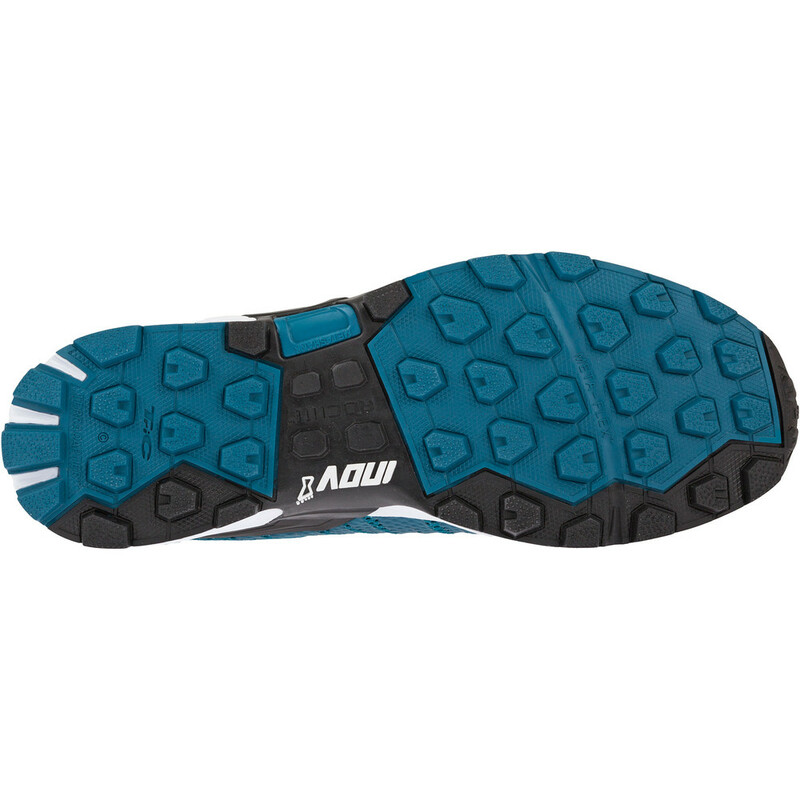 These multi-directional claw shaped cleats each have a wide contact area and provide unrivalled purchase over unpredictable terrain as well as releasing debris quickly. 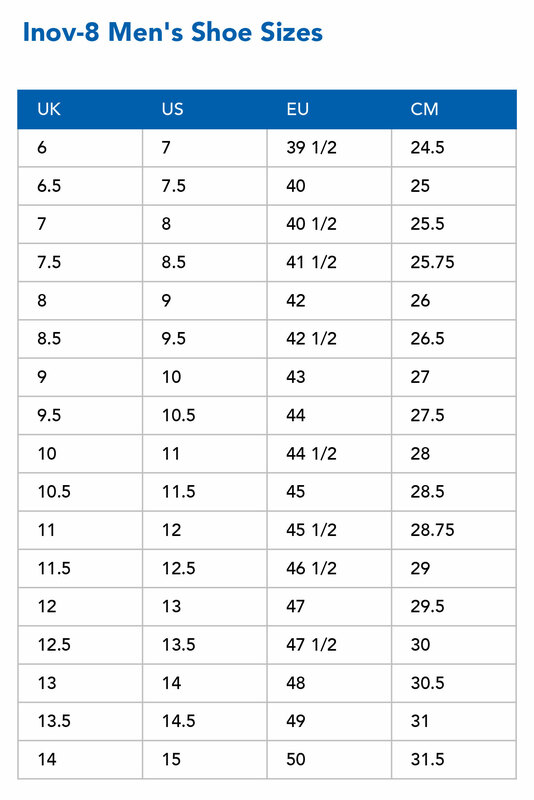 The bobbly surface area on the outsole increases traction. A Meta shank rock stop plate protects the foot from sharp rocks and a reinforced toe bumper protects the toes from getting bumped.